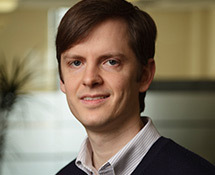 Dan Cullinan is a research associate at MDRC. He is the data manager for Aid Like a Paycheck, a program that aims to help students manage their limited financial aid throughout the term by disbursing funds every other week, and is one of the data managers and impact analysts on MDRC’s Behavioral Interventions to Advance Self-Sufficiency project. Prior to joining MDRC, Cullinan worked at the Center for Research on Children in the U.S. at the Georgetown Public Policy Institute. He has a master’s degree in economics from Virginia Commonwealth University. He participates in CAPR’s assessment study.